Recycling is not a new concept to the aluminium industry. Nearly 60% of the aluminium we use in the UK is recycled metal. However, the challenge now is to produce higher grade aluminium products from old scrap. This is what we term upcycling. 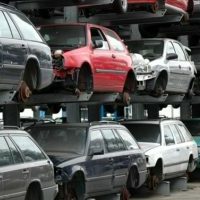 The End of Life Vehicles Directive states that we should recover or reuse 95% of a vehicle’s weight. On top of this, we need to reduce carbon dioxide emissions from metal production and vehicles. Both of these mean that the amount of aluminium in a vehicle, and the amount of recycling, must increase. Legislation aside, there is also a strong environmental argument. Remelting aluminium consumes only 5% of the energy needed to produce the primary metal, as well as preserving natural resources. 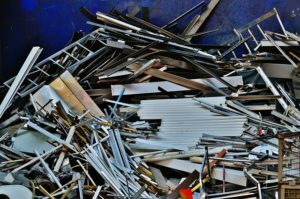 There are major challenges in terms of the quality of metal from recycled end-of-life scrap. This is proving to be a barrier to recycling aluminium, particularly into high performance automotive applications. Here, the use of primary metal based alloys predominates. Firstly, the industry needs to develop appropriate sensing and sorting technologies. We need these to separate wrought and cast aluminium alloys, and then to separate the wrought alloys into their families. The main issue after this is the increased amounts of inclusions and impurity elements in recycled post-consumer scrap. These inclusions can cause severe losses in ductility and strength. Furthermore, certain impurity elements significantly reduce corrosion resistance. Iron is the most significant impurity element to control. Conventional wisdom states that we must reduce the amounts of such inclusions and impurities by a chemical refinement approach. However, this is a high cost and low efficiency process. The alternative is dilution with primary metal, but this adds both cost and embedded carbon, both of which we want to avoid. Innoval Technology is working with the Brunel Centre for Advanced Solidification Technology (BCAST) to develop recycling technologies to process aluminium scrap. The technologies involve high shear melt processing. This is a simple low-cost method, developed by Zhongyun Fan at Brunel University. It produces higher grade aluminium products from old scrap. We call this approach upcycling as opposed to the current concept of recycling, where we convert scrap into an existing or lower grade alloy. The BCAST high shear melt conditioning technology provides a family of step-change metal processing techniques. It produces high quality and low cost metallic components or feedstock materials directly from melts of post-consumer scrap. Following melt processing, solidification takes place under controlled conditions of uniform temperature, uniform chemistry, well-dispersed nucleation agents and fast heat extraction. The technology is particularly effective for the direct chill (DC) casting of rolling blocks and extrusion billets. It’s also effective for twin roll casting (TRC) of thin strip with a low force roll caster. The result is a refined cast microstructure with increased tolerance to inclusions and impurities, and improved mechanical properties, Figure 3. Figure 3: Microstructures of sand cast LM25 components (a) conventional sand casting; (b) melt conditioned sand casting. This novel technology has the potential to blur the distinction between cast and wrought alloys. It aims to deliver alloys based on secondary metal with equivalent properties to those made from primary metal. As a result, upcycling could make aluminium more economically attractive to car manufacturers. Consequently, this could dramatically increase the amount of aluminium in automotive applications. We’re delighted to be in partnership with BCAST and their main industrial consortia partners (Jaguar Land Rover and Constellium) to bring this exciting new technology to applications within the UK casting industry across all casting processes. You can read more about our collaborative R&D projects here. 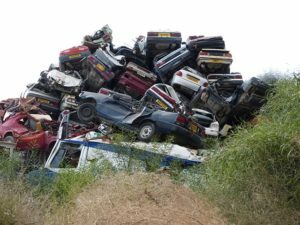 Finally, you might be interested in a previous blog post of mine on the subject of recycling; End of life vehicles: new Jags for old.